By Hook + Gaff, in partnership with Stitch-It & Co. Complete your look with a luxury timepiece. With exquisitely fine craftsmanship, these watches will help you stand out in any occasion. 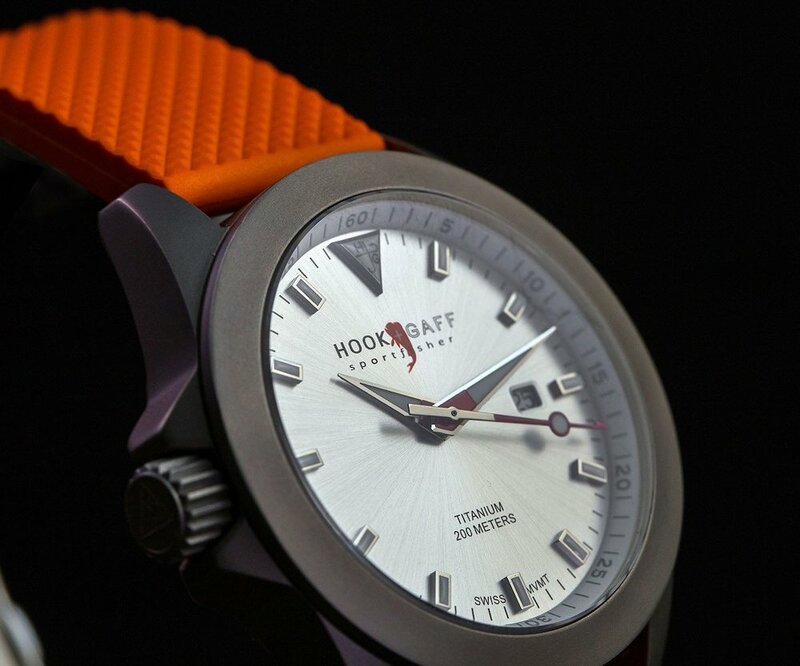 Built to inspire awe and withstand a hurricane, a Hook + Gaff luxury watch can bring out the adventurer inside every man. Wear your watch worry-free. The incredibly lightweight titanium case and scratch-resistant sapphire crystal materials mean you don't have to think twice about wearing. Ultra-lightweight and strong componentry combined with classic styling. The screw-down crown provides water-resistance up to 200 meters to keep up with the boldest. Find your perfect watch in our Nashville shop. Have questions? Feel free to inquire with a message or phone call. Find out more about these beautiful luxury sport watches. If you have any questions before you decide to come to the shop and purchase, we're eager to answer them. Inquire with a message or phone call.